Original Blanket Scarf in 13 Patterns Only $12.99!! You are here: Home / Great Deals / Original Blanket Scarf | 13 Patterns Only $12.99! 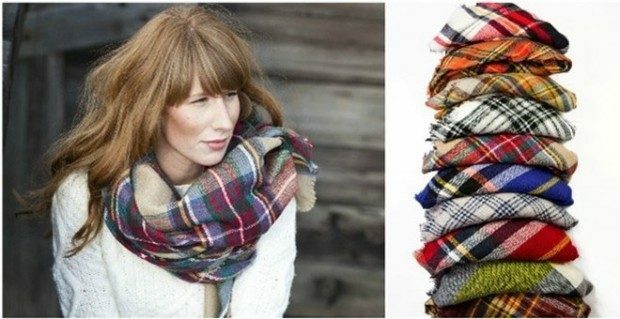 Original Blanket Scarf | 13 Patterns Only $12.99! Wanting to stay warm and look fantastic? Head over to Jane to check out the beautiful Original Blanket Scarf in 13 Patterns for Only $12.99!! A.Must.Have… Maybe in every color even!!! We can’t even begin to tell you how much We madly love these oversized blanket scarves. Throw on with a Chunky knit sweater, layer with a pea coat, throw about over a blazer… I think you get the idea…versatile! Click here to check out more Great Deals!